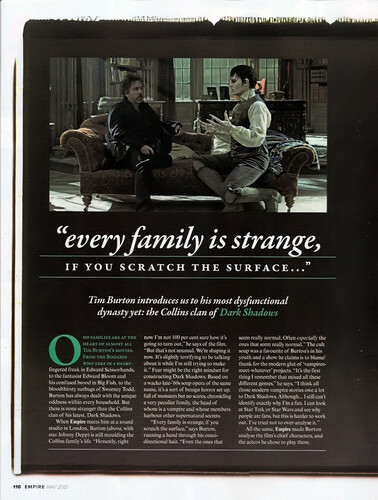 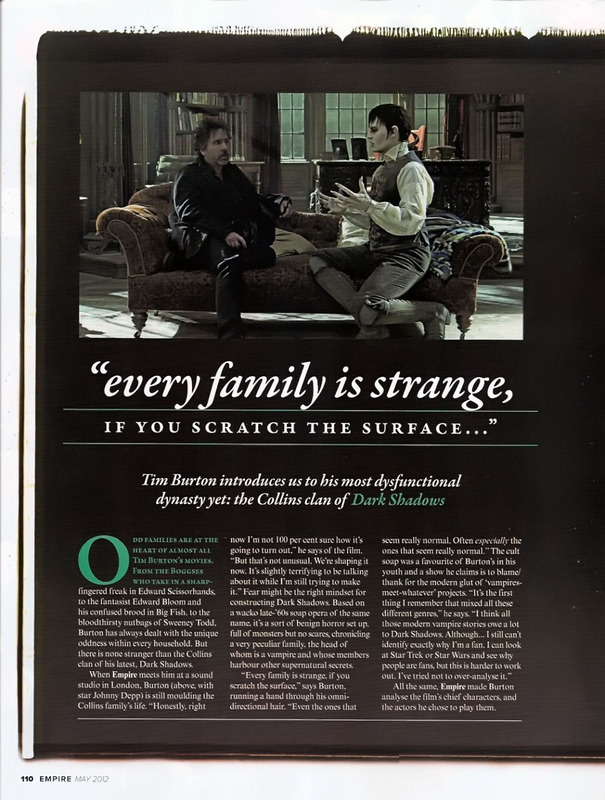 Empire Magazine May 2012 Scans ~ Dark Shadows bài viết. . HD Wallpaper and background images in the Tim Burton's Dark Shadows club tagged: dark shadows johnny depp tim burton barnabas collins film set vampire 2012.